The 2011 range of bikes from German firm Ghost was recently unveiled to UK dealers and bike media types, and though dominated by mountain bikes, there is also a couple of spookily exciting road bikes. The drop-bar line-up kicks off with the £999 Race 4900, an aluminium frame kitted out with Shimano Tiagra. Better still is the Race Lector Comp, which has a high-modulus composite frame, a mixed Ultegra/FSA groupset, and an Easton EA7 wheelset, all for an unearthly £1,899. 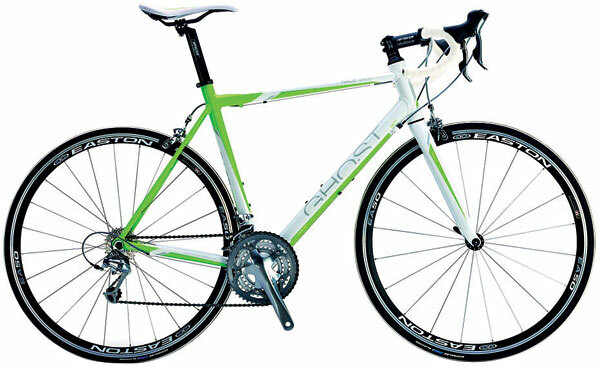 Ghost also produces a selection of commuting and trekking bikes along with serious flat-barred mud-pluggers.